While last season's NCAA Tournament provided plenty of reminders that anything can happen in a single game, the Sweet 16 was composed entirely of power conference teams. Parity isn't currently a strength of Division I basketball relative to its overall total of 355 programs, but there are enough competitive teams that the eventual champion isn't a foregone conclusion. Duke is the clear favorite, but Villanova will have a very real chance to repeat as champions, and there are several teams beyond Kentucky that have the potential talent to make a title run in March as well. Grayson Allen will receive significant reinforcements as a junior. 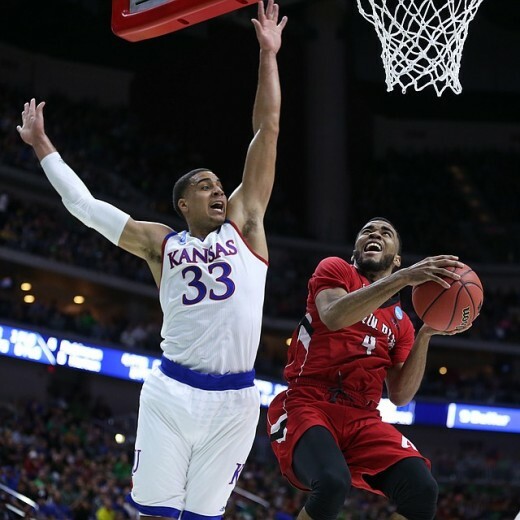 Landen Lucas has established himself as the man in the middle for the Jayhawks. Departures: Perry Ellis (16.9 ppg., 5.8 rpg., 43.8% 3pt.) graduated; Wayne Selden (13.8 ppg., 39.2% 3pt.) and Chieck Diallo (not a major contributor) entered the NBA Draft. Bill Self welcomes top 5 recruit (and projected top 5 draft pick) Josh Jackson to a lineup that will include college basketball's premiere veteran backcourt in Frank Mason and Devonte Graham. The Jayhawks also return senior Landen Lucas, who became an imposing presence over the team's last 15 games; he averaged 9.2 rebounds and 1.5 blocks in 24.2 minutes once his playing time stabilized. The Jayhawks were 2nd in the country in 3pt. percentage a year ago; while that number will likely fall with the departure of Ellis and Selden (losses that will be tempered by increased playing time for Sviatoslav Mykhailiuk), the Jayhawks overall talent level should increase with the addition of Jackson and the development of Lucas and sophomore Carlton Bragg (a five star recruit a year ago), and the return of Mason and Graham should guarantee that the Jayhawks remain one of the most efficient offensive teams in the country. Ethan Happ's production as a redshirt freshman was crucial for Greg Gard's first year success. Wisconsin had a remarkably successful season last year considering the surprising last minute retirement of Bo Ryan and the loss of first round draft picks Sam Dekker and Frank Kaminsky. That was despite the fact that Nigel Hayes (15.7 ppg. on 36.8% shooting overall and 29.3% shooting behind the arc) struggled mightily with his shot as a junior without Dekker and Kaminsky to take pressure off of him at the offensive end; those numbers should rebound somewhat as a senior, particularly with rising senior Bronson Koenig (13.1 ppg., 39.0% 3pt.) 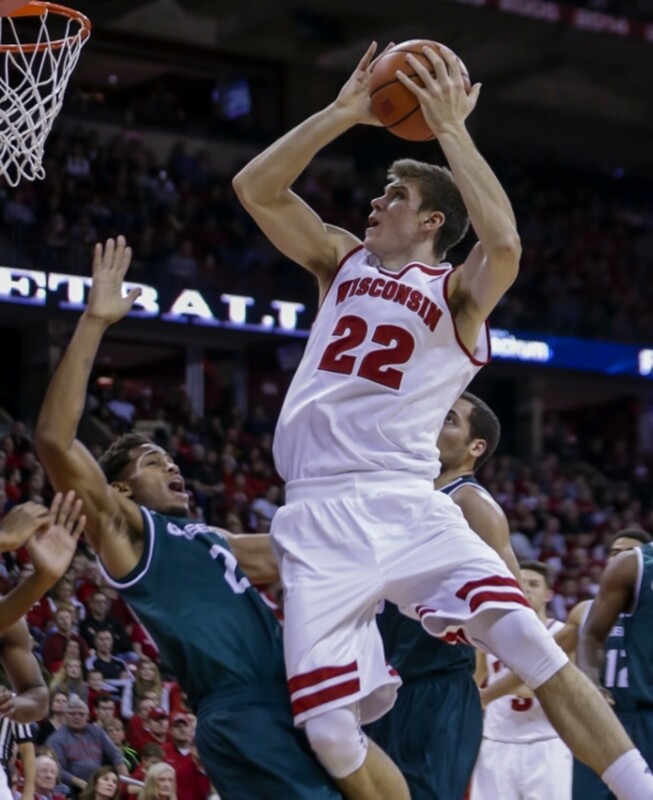 and sophomore Ethan Happ (12.4 ppg., 7.9 rpg.) establishing themselves as the team's go to scorers and Vitto Brown (9.7 ppg., 5.0 rpg., 40% 3pt.) emerging as a stretch four similar to Hayes by tournament time a year ago. With every major contributor returning, Wisconsin doesn't appear to be missing a beat with second year coach Greg Gard, and they should find themselves contending for a Final Four berth for the third time in four years. Jonathan Williams will need to replace Damantas Sabonis's production for the Bulldogs. Departures: Kyle Wiltjer (20.4 ppg., 6.3 rpg., 43.7% 3pt. 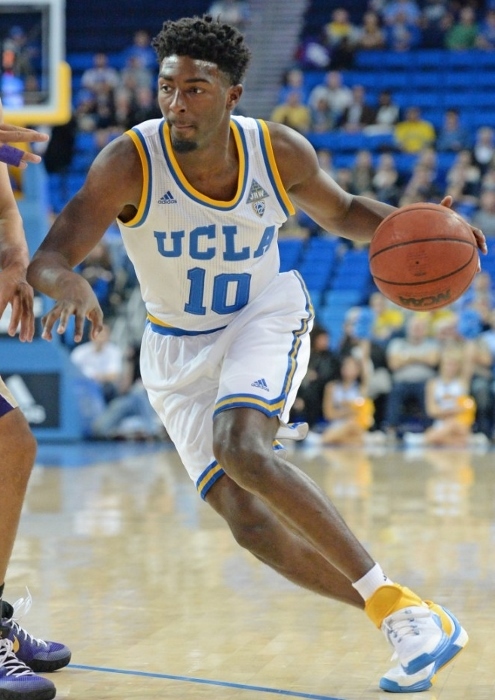 ), Eric McClellan (10.7 ppg. ), and Kyle Dranginis (6.5 ppg., 4.5 rpg., 3.1 apg., 36.0% 3pt.) graduated; Domantas Sabonis (17.6 ppg., 11.8 rpg.) was taken in the first round of the NBA Draft. Thanks to the arrival of three accomplished power conference transfers and a loaded recruiting class, Mark Few may have the most talent he has ever had and his best chance to break through his personal glass ceiling into the Final Four. Nigel Williams-Goss averaged 15.6 points, 4.7 rebounds, and 5.9 assists per game at Washington; he should pair with redshirt sophomore Josh Perkins (10.1 ppg., 4.1 apg., 37.8% 3pt. ), a former 5 star recruit, to form one of the better backcourts in college basketball. Wiltjer's three point shooting will be partially offset by graduate transfer Jordan Mathews, who has been one of the best three point shooters in the country over the last two years at Cal (13.5 ppg. on 42.7% 3pt.). After leading Missouri with 11.9 points and 7.1 rebounds per game two years ago, Jonathan Williams should put up numbers similar to Sabonis and help stretch the floor as well (34.4% 3pt. ), while top 40 recruit Zach Collins will be an improvement to Wiltjer defensively and on the boards. Few also added three additional four star recruits and welcomes back 7-1, 290 pound behemoth Przemek Karnowski, who missed most of last season with a back injury. Gonzaga will be deeper and more athletic, and should be considered a legitimate national title contender. Departures: Cat Barber (23.5 ppg., 4.6 rpg., 4.5 apg., 36.1% 3pt.) entered the NBA Draft; Caleb Martin (11.5 ppg., 4.7 rpg., 36.1% 3pt.) and Cody Martin (6.0 ppg., 4.4 rpg., 2.3 apg.) decided to transfer. For more information on the Wolfpack, please check out my ACC Basketball Preview. Departures: Ryan Arcidiacono (12.5 ppg., 4.2 apg., 39.4% 3pt.) and Daniel Ochefu (10 ppg., 7.5 rpg., 1.5 bpg.) graduated. 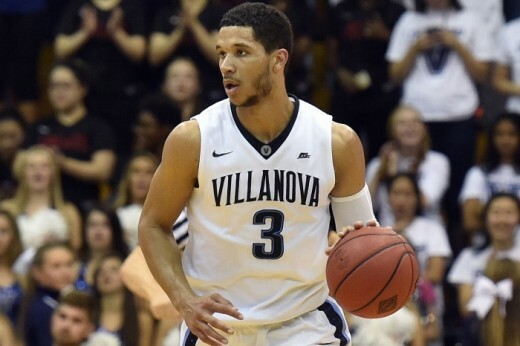 Jay Wright returns 6 of his top 8 players from last year's national title team, including potential All American Josh Hart. How much Arcidiacono's leadership will be missed has yet to be seen, but it is a very real possibility that his successor, Jalen Brunson (a top 20 recruit a year ago), is a more talented player. Ochefu's rebounding and rim protection will also be missed (the Wildcats were only an average (127th in the country) rebounding team with him), but Wright does add a 6-10 top 100 recruit in 6-10 Dylan Painter and a highly regarded transfer in 6-7, 260 pound Eric Paschall (15.9 ppg., 5.5 rpg., and 45 made 3's at Fordham) to his frontcourt. Losing 5 star big man Omari Spellman to an academic redshirt will hurt Villanova at the offensive end, but the Wildcats should still be able to make a run at defending their title in March. 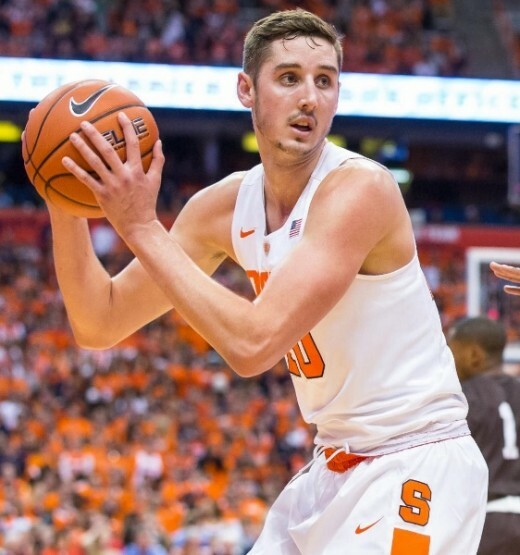 For more information on the Orange, please check out my ACC Basketball Preview. Charles Matthews will have his chance to shine - at Michigan. Departures: Jamal Murray (20.0 ppg., 5.2 rpg., 40.8% 3pt.) 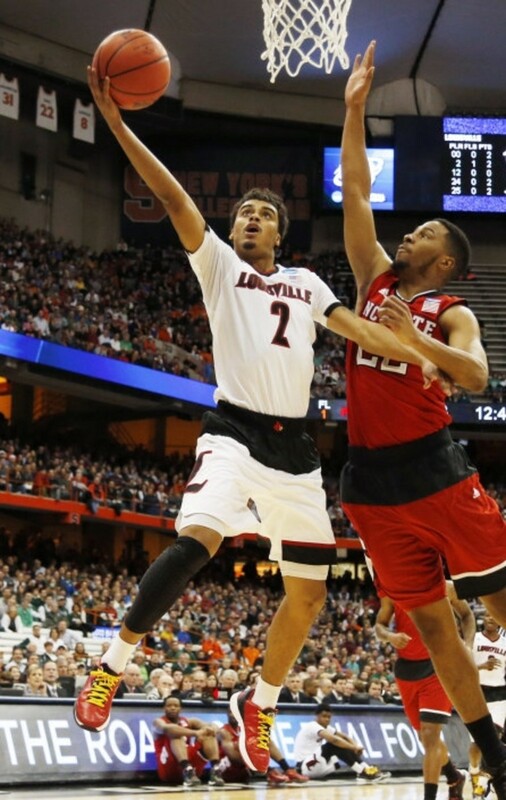 and Skal Labissiere (6.6 ppg., 3.1 rpg., 1.6 bpg.) 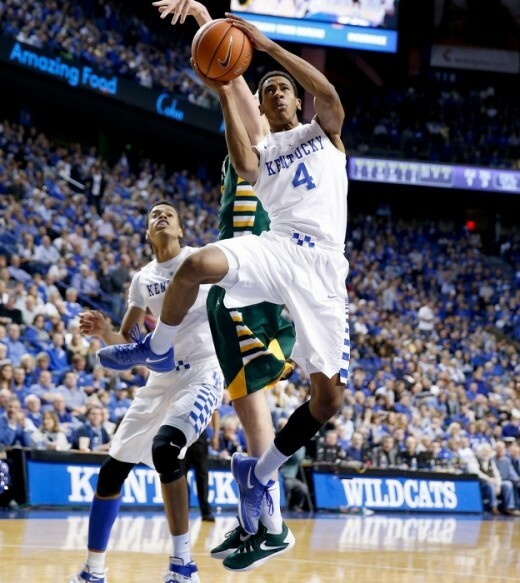 were first round draft picks, Tyler Ulis (17.3 ppg., 7.0 apg.) was a second round pick, Alex Poythress (10.2 ppg., 6.0 rpg. ); Marcus Lee (6.4 ppg., 6.0 rpg., 1.6 bpg.) transferred to Cal, and Charles Matthews (not a major contributor) transferred to Michigan. It's more of the same for John Calipari's Wildcats – sort of. Kentucky again welcomes one of the premiere recruiting classes in the country, composed of five 5 star prospects including projected first rounders Edrice Adebayo, De'Aaron Fox, and Malik Monk. If everyone lives up to their billing immediately, then Kentucky will again contend for a national title. The big difference this season is that two of the less heralded players that have inexplicably been sticking around previously, in this case Charles Matthews and Marcus Lee, decided to leave to have their day in the sun somewhere else, and the result is that the Wildcats will not have the type of depth they have enjoyed over the past few years. If either of the guards, top 10 recruits De'Aaron Fox and Malik Monk (particularly the point guard Fox), need time to develop, the only other promising option will be Isaiah Briscoe, who struggled with perimeter shooting and over-aggression as a freshman. Kentucky can again be one of the teams to beat, but their margin of error will be thinner than it has been over the last few years. Chris Boucher did not disappoint as a JC transfer. Departures: Elgin Cook (14.8 ppg., 5.1 rpg.) 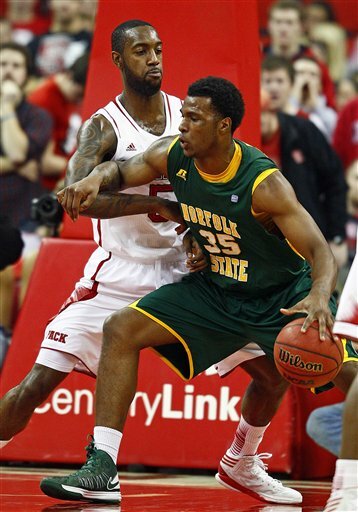 and Dwayne Benjamin (7.8 ppg., 3.0 rpg.) graduated. Dana Altman received two pleasant surprises when his two best players, Dillon Brooks (16.7 ppg., 5.4 rpg., 3.1 apg.) 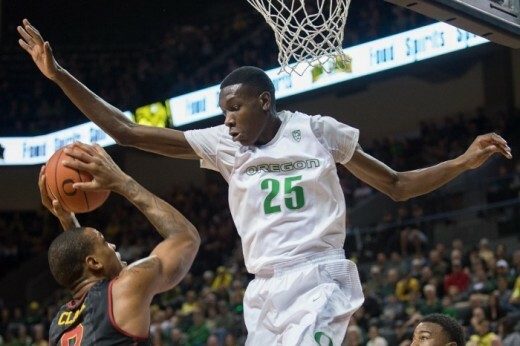 and Chris Boucher (12.1 ppg., 7.4 rpg., 2.9 bpg. ), decided to stay in school. The Ducks may actually have an upgrade at point guard, where Villanova transfer Dylan Ennis will finally get to play after an injury kept him out last season and the team adds a top 70 recruit in Payton Pritchard. There will also be top 80 reinforcements at small forward (Keith Smith) and center (M.J. Cage), so Altman will actually have more depth at his disposal than he did a season ago. Oregon should again be the class of the Pac 12 and a Final Four contender. Rashid Gaston will be the new man in the middle for the Musketeers. Departures: James Farr (10.7 ppg., 7.8 rpg.) and Remy Abell (6.4 ppg., 35.4% 3pt.) graduated; Jalen Reynolds entered the NBA Draft. 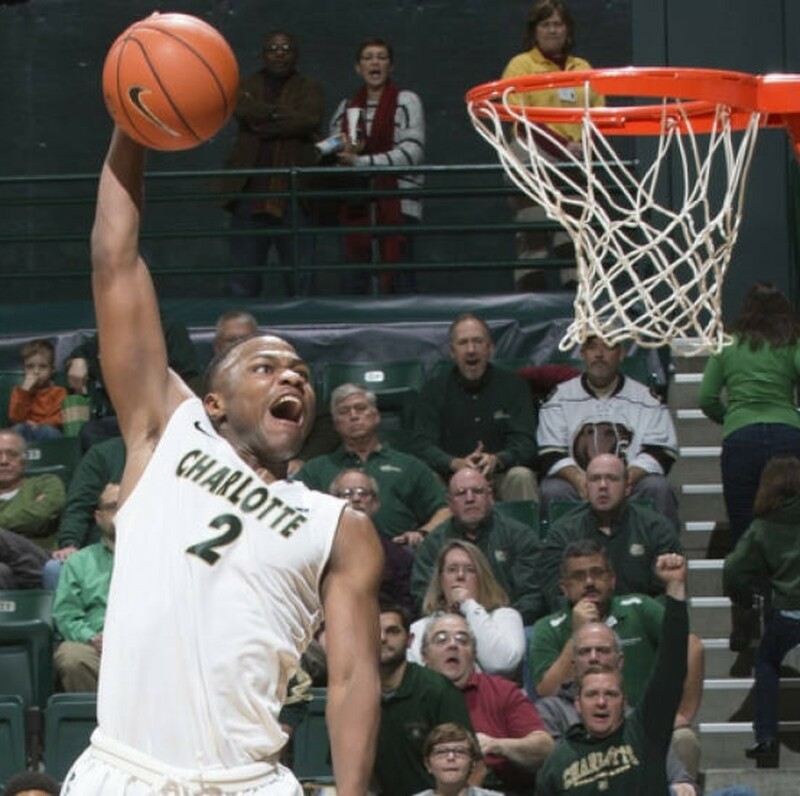 Chris Mack welcomes two of the most highly regarded small conference transfers available in RaShid Gaston and Malcolm Bernard. Gaston averaged 15.5 points, 9.6 rebounds, and 1.2 blocks per game two years ago at Norfolk St., while Bernard, a graduate transfer, put up 14.4 points, 7.1 rebounds, and 2.3 steals per game last season at Florida A&M. Combined with super sophomore Edmund Sumner, star junior Trevon Bluiett, and senior point guard Myles Davis, the Musketeers will have a strong starting five, and Mack also welcomes three 4 star recruits to fill out his bench. Xavier will likely need to play small with Bluiett sliding down to serve as a stretch 4, but they should continue to rebound well (20th a year ago) and could be more dangerous on the offensive boards. If the transfers and freshmen adjust quickly, Chris Mack will have plenty of talent for his Musketeers to move beyond last year's second round disappointment. Did I mention that Isaac Hamilton is still at UCLA? Departures: Tony Parker (12.6 ppg., 8.2 rpg.) graduated. Like Jim Harrick before him, Steve Alford's teams have underachieved somewhat relative to their talent level in his three years at UCLA. That being said, the Bruins should at least be in line for a third Sweet 16 appearance under Alford with what is likely his most talented team to date. UCLA adds three top 20 recruits, lead by 6-5 freshman point guard Lonzo Ball. Despite last season's poor record, there is a great deal of returning talent as well with four former top 50 recruits already in the fold, and senior Bryce Alford may benefit as a shooter from being moved off the ball. There is more than enough talent here for the Bruins to make a Final Four run, but Alford's track record doesn't point in that direction at this point. Freshman stretch 5 Lauri Markkanen, a projected lottery pick at 6-11, 255, will likely find himself the lone big man on the floor quite often for the Wildcats. Departures: Ryan Anderson (15.3 ppg., 10.1 rpg. ), Gabe York (15 ppg., 42.1% 3pt. ), Kaleb Tarczewski (9.4 ppg., 9.3 rpg. ), and Mark Tollefsen (7.0 ppg., 3.0 rpg., 35.6% 3pt.) graduated. Ray Smith suffered a career ending knee injury. Sean Miller's Wildcats will feature a poor man's version of Kentucky's roster this season. Of the eight players most likely to be in the rotation, four are 5 star recruits, six are top 50 recruits, and three have played more than one season of college basketball. Rebounding will certainly be more of a challenge with Anderson and Tarczewski gone, and, considering the players lost to graduation and the athleticism of the incoming class, Arizona will almost certainly play small and at a faster pace; the challenge for Miller will be preventing that from turning into a disorganized mess with an overwhelmingly young roster (fortunately, three of the four most experienced players are guards). Still, there is no telling how good Arizona's three freshmen will be and how quickly, but the answer to both can always be very, in which case the Wildcats could again be very competitive by tournament time. 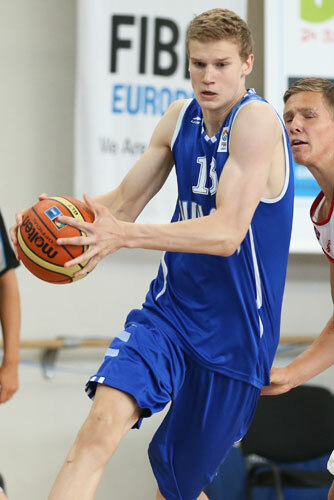 Eric Mika is certain to receive a warm welcome at BYU. Departures: Chase Fischer (18.2 ppg., 36.7% 3pt. ), Kyle Collinsworth 15.3 ppg., 8.2 rpg., 7.4 apg., 2.0 spg. ), and Nate Austin (4.4 rpg.) graduated; Zac Seljaas (7.6 ppg., 50.0% 3pt. on 136 attempts) departed for a two year Morman mission; Jordan Chatman transferred to Boston College. Despite the departure of Chase Fischer and do everything conference Player of the Year Kyle Collinsworth, this may be the most talented team in the history of BYU's basketball program, a fact that has been somewhat obscured by the complication of the two year Mormon missions that BYU students take at some point during their time at the school. The Cougars will feature six former top 100 recruits (including graduate transfer L.J. Rose) in addition to a second well regarded transfer and two less heralded players that had breakthrough seasons a year ago. Most prominently, Nick Emery (16.5 ppg., 38.3% 3pt. 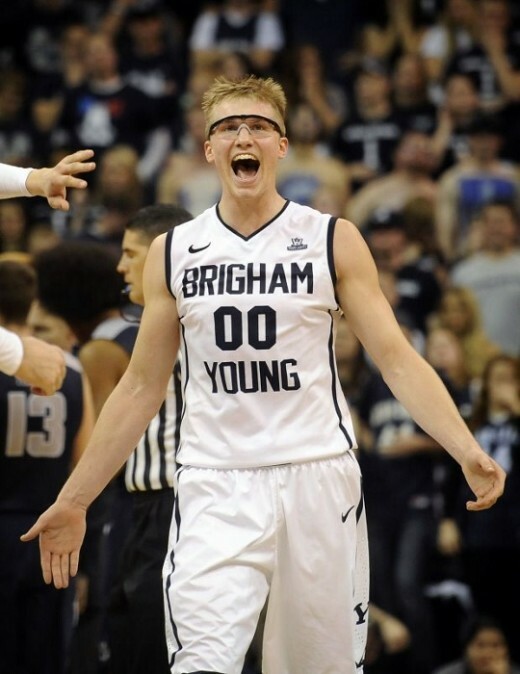 ), a former top 50 recruit, returned from his mission last year; TJ Haws, another former top 50 prospect, returns for his first year of college basketball; and Eric Mika, a former top 20 recruit, returns from his mission after averaging 11.8 points and 6.4 rebounds in 2013-2014. Mika will join Kyle Davis (11.9 ppg., 7.5 rpg.) to form an extremely competitive frontcourt, with 6-10 Corbin Kaufusi, who will also play football, providing an imposing rebounding and shot blocking complement to the pair. In his 11 years at the school, Dave Rose has never failed to at least take BYU to the NIT, and the team has reached the NCAA Tournament 8 times during that period, including a Sweet Sixteen appearance in Jimmer Fredette's senior year. With the talent available to him this season, moving beyond that is a reasonable goal for Rose and BYU. Departures: Damion Lee (15.9 ppg., 3.9 rpg.) and Trey Lewis (11.3 ppg., 35.1% 3pt.) exhausted their eligibility; Chinanu Onuaku (9.9 ppg., 8.5 rpg., 2.0 bpg.) was a second round pick. There may be some dunking. Departures: Denzel Valentine (19.2 ppg., 7.5 rpg., 7.8 apg., 44.4% 3pt%), Bryn Forbes (14.4 ppg., 48.1% 3pt. ), and Matt Costello (10.7 ppg., 8.2 rpg.) graduated; Deyonta Davis (7.5 ppg., 5.5 rpg., 1.8 bpg.) was a second round draft pick. The Spartans lost their top four players after last season's first round disappointment, and that has been compounded by preseason knee injuries sustained by the possible starting frontcourt of Gavin Schilling and Ben Carter, Still, Tom Izzo does welcome one of the best recruiting classes in his tenure. 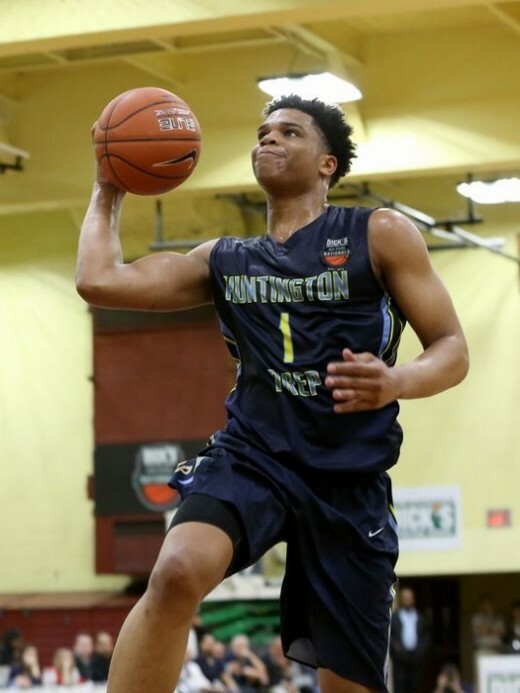 Starting with 6-7 super athlete and top 10 recruit Miles Bridges, Izzo will likely need for freshmen to be his top 3 players and fill four starting spots, but that seems entirely possible with their potential and his coaching ability. 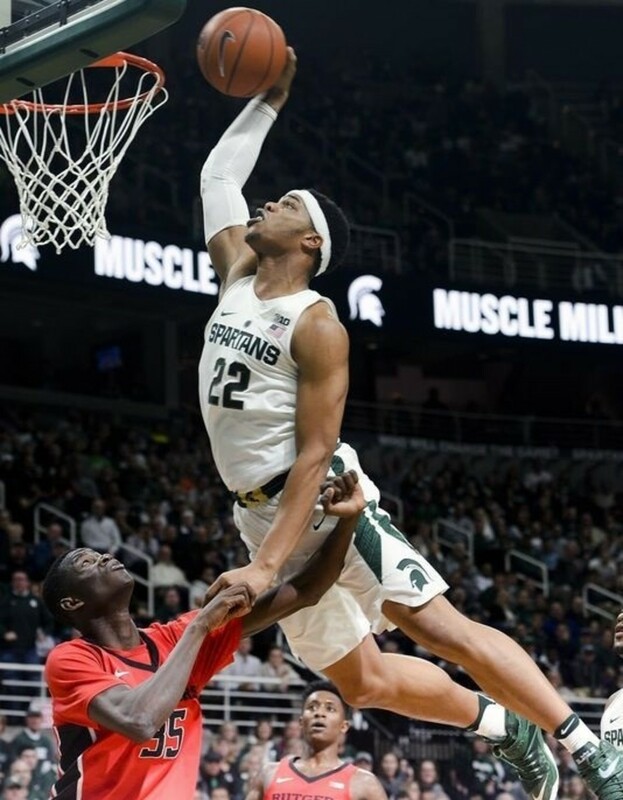 The Spartans will be forced to play small after the injuries (former walk-on Kenny Goins could become a player to watch as a result), but there should still be enough talent to allow Michigan St. to return to the NCAA Tournament and rebound from last year's early exit. Departures: Jalen Hudson (8.4 ppg., 34.6% 3pt.) transferred. 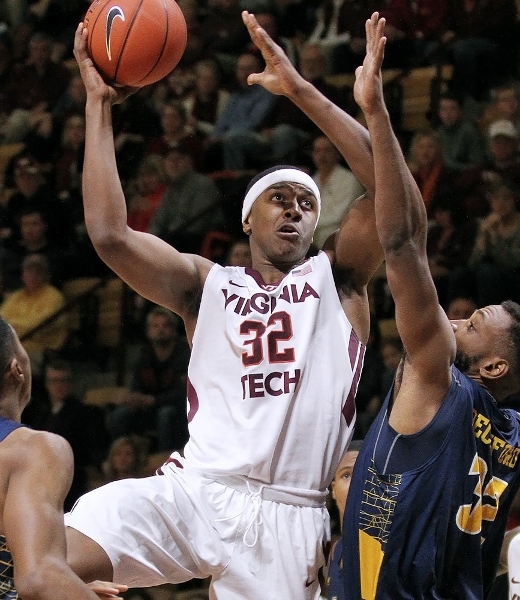 For more information on the Hokies, please check out my ACC Basketball Preview. Joe Rahon needs a few more chances against ACC caliber competition. St. Mary's returns every major contributor from what was the most efficient offensive team in the country last season, when they finished 1st in the nation in assist to turnover ratio and overall field goal percentage and 9th in three point percentage. They will again be lead by the statistically remarkable backcourt of Emmett Naar (14.0 ppg., 6.4 apg., 41.8% 3pt.) 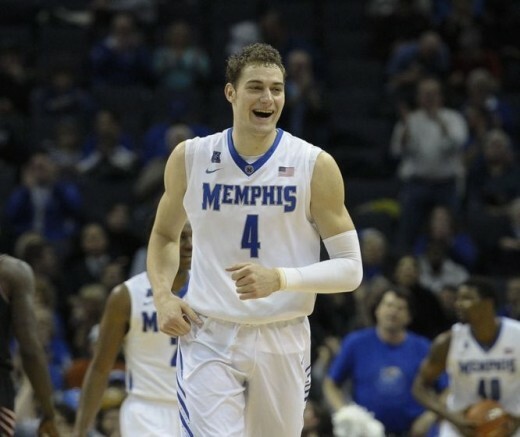 and Boston College defector Joe Rahon (10.7 ppg., 4.5 rpg., 5.4 apg., 36.6% 3pt. ), who somehow managed to respectively finish 13th and 37th in the country in assist per game. 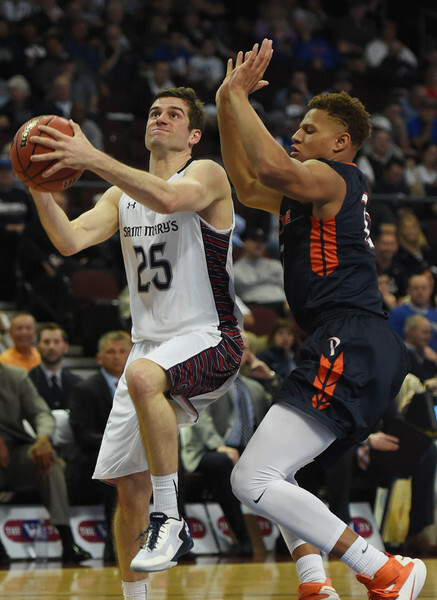 The Gaels also finished 42st in rebounding margin and 47th in field goal percentage defense; while those numbers are somewhat misleading due to a poor strength of schedule and St. Mary's isn't going to overwhelm anyone physically, they do at least compete at that end of the court. On paper, Randy Bennett's Gaels will be a scary matchup in March – if they can get into the NCAA Tournament. The West Coast Conference will feature three very good teams, but it is a very real possibility that no one else in the conference will even be able to qualify for the CTI Tournament, much less the NIT, meaning that it will be difficult for all three to build strong resumes and produce respectable RPI's. Unfortunately St. Mary's, who had non-conference schedule strength of 165 a year ago, again faces a questionable non-conference slate. There will be little margin for error for the Gaels, and they will likely need at least three total wins against the other two strong teams in the conference to reach the NCAA Tournament. OG Anunoby probably saved Tom Crean's job. Departures: Yogi Ferrell (17.3 ppg., 3.8 rpg., 5.6 apg., 42.0% 3pt.) graduated and Troy Williams (13.3 ppg., 5.8 rpg., 34.7% 3pt.) entered the NBA Draft. Indiana finished last season 3rd in overall field goal percentage, 5th in three point percentage, and 32nd in assist to turnover ratio. Yogi Ferrell was a great floor general and scorer, and Troy Williams excelled at creating his own shot; they will be missed, particularly with transfer Josh Newkirk, who showed flashes of potential but wasn't a special player at Pittsburgh, possibly taking over at point guard. Still, Thomas Bryant seems capable of doing much more at the offensive end, and almost everyone that Tom Crean will put on the floor has shown the ability to shoot a high percentage beyond the arc. 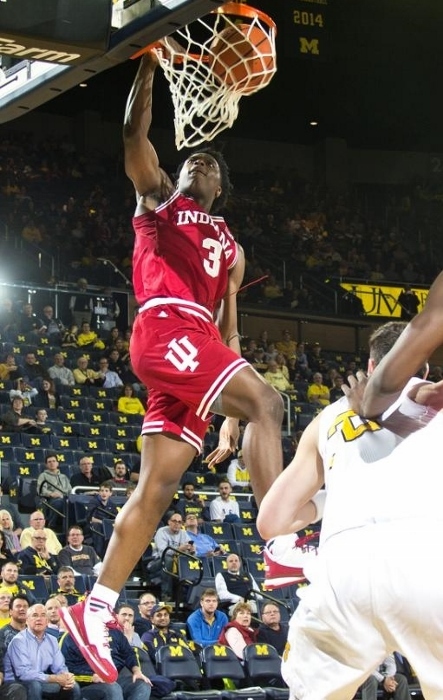 Also, the Hoosiers really didn't compete at the defensive end until injuries allowed OG Anunoby, now a projected first round pick in next year's draft, to become a regular part of the lineup; his minutes should increase significantly as a sophomore. Expectations for the Hoosiers should be tempered somewhat by the change at point guard, but Indiana should again be dangerous in March. 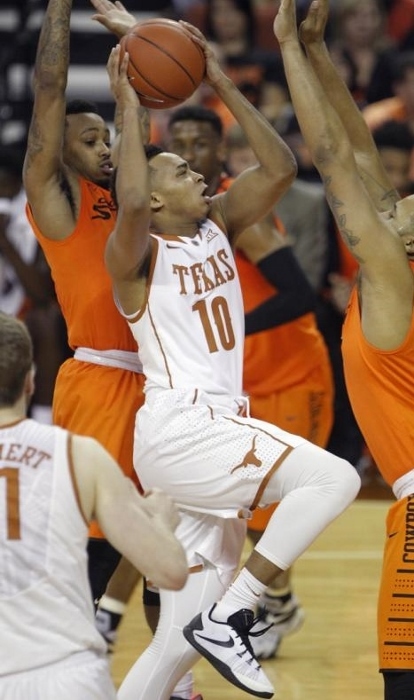 Sophomore Eric Davis Jr. will need to pass for a veteran for the Longhorns. Departures: Isaiah Taylor (15.0 ppg., 5.0 apg.) entered the NBA Draft; Cameron Ridley (11.1 ppg., 8.5 rpg., 2.8 bpg. ), Javan Felix (10.7 ppg., 35.4% 3pt. ), Connor Lammert (7.1 ppg., 5.3 rpg. 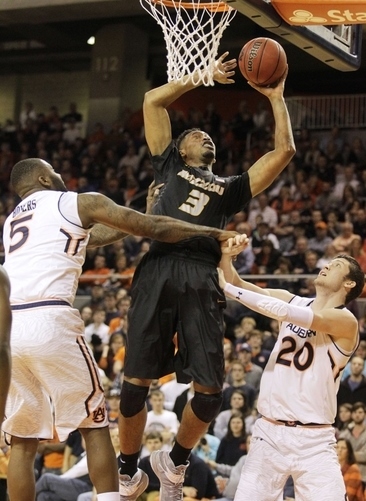 ), and Prince Ibeh (5.0 rpg., 2.0 bpg.) graduated. Shaka Smart will oversee a major roster overhaul this season, so much so that his top seven players are likely to be freshmen and sophomores. Fortunately, 6 of those 7 players were top 50 recruits nationally, with the seventh within the top 90. Perhaps more importantly, the graduation of Ridley, Lammert, and Ibeh, and the subsequent additions of more mobile and athletic big men Jarrett Allen (a top 20 recruit) and James Banks (a top 50 recruit) may provide Smart the opportunity to return to the "Havoc" playing style that defined his time at VCU and made him a prominent coaching figure nationally. While this team will likely be too young to be a title contender, Texas should see flashes of the product they envisioned when they hired Smart and be a tough matchup by tournament time. I originally posted the ACC Preview in late April. I was shocked when I saw North Carolina being ranked so highly elsewhere. Of course they have the potential to be very good, but it was surprising for that to be the expectation heading into the season. Texas was clearly a stretch, but placing a 7th ACC team in the Top 20 also seemed unrealistic at the time. This poll is ridiculous. Pshh. UNC is not making it past the second round huh? I got all kinds of money that says different. What u got? It would be really nice to see NC State do well. I know it seems like a stretch, but Gottfried has taken them to the Sweet 16 twice with significantly less talent. I love that you have the Pack at 5th, I do believe that they are extremely under looked. 5th though, hope you're right. Where is the north carolina tarheels? Thank you MDABE80. I haven't seen the schedules for the WCC teams yet, but I hope they're beefed up; I would love to see them all have an opportunity in March. Thanks to the BYU fans for pointing out my mistake; I hadn't seen a release about Zac Seljaas anywhere. I think this is one of the better Top 20 predicitions I've seen. It's not WAY too early since those transferring are now in place and the NBA Draft is in the rear view. WCC with 3 top 20 is historical. Zags at 8 is about right. Hugely talented team.